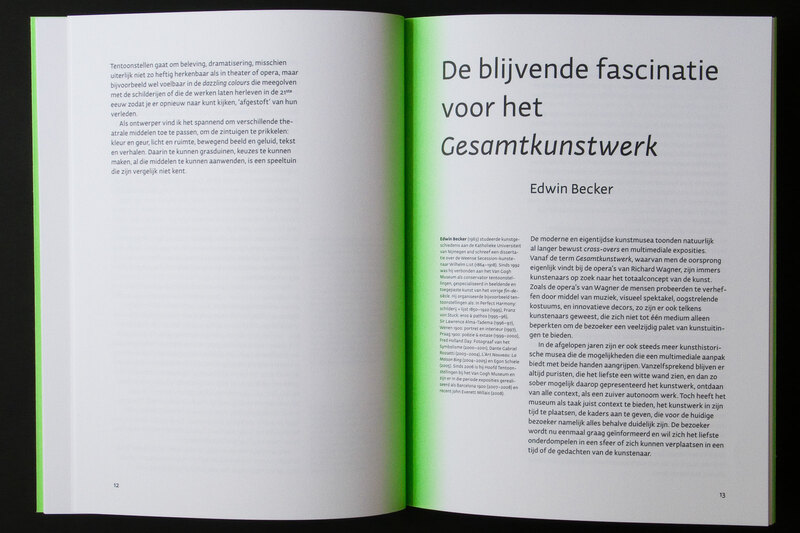 The book belongs to an exhibition inspired by the work and thoughts of David Byrne. 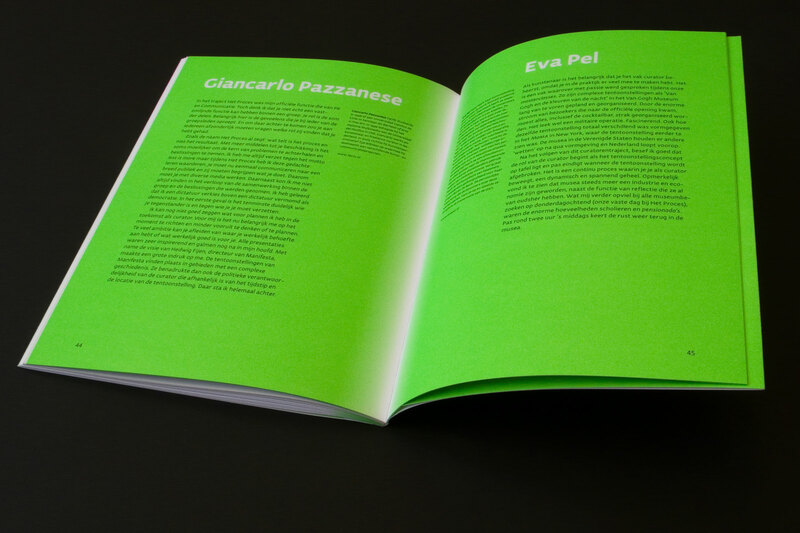 For this reason the design of this publication had also to be built upon this. 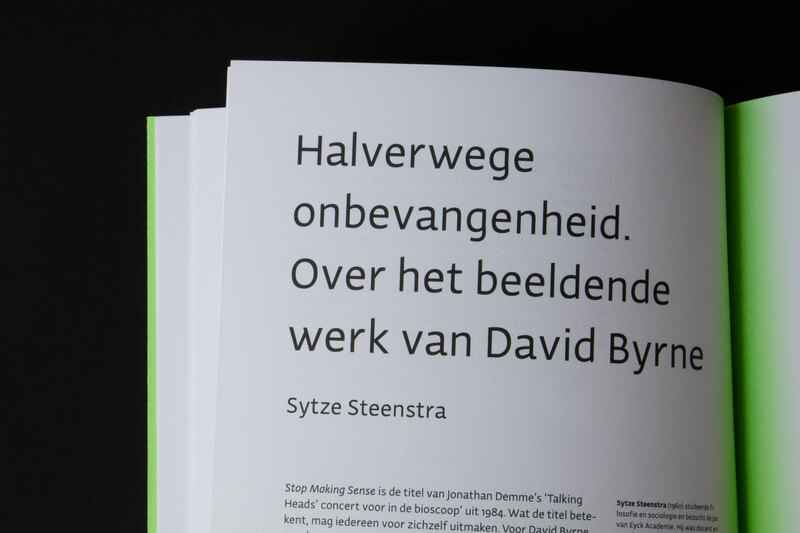 If possible at all, article ‘David Byrne: Getting the I out of design’ by Sytze Steenstra was a great help for understanding his mind. The design refers to this in various ways. The art show was held in a property located in Amsterdam’s red light district. 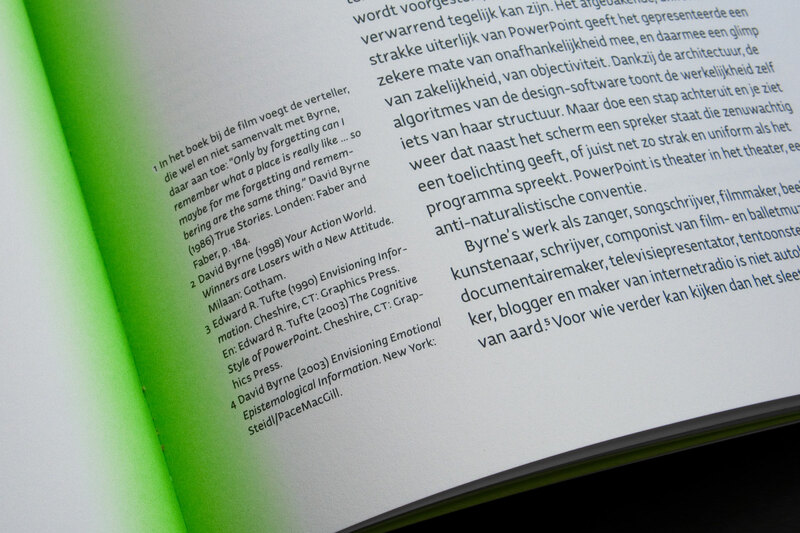 That element was taken as a starting point and turned the other way round by putting a green light bar (red’s opposite) into the book’s spine. Because David Byrne plays a Fender guitar, including Fender guitar picks would sure be best as it links both to the scratch-off layers as it does to Mr. Byrne. It was a tough find, but the white pearl plectrum matches beautifully, doesn’t it? 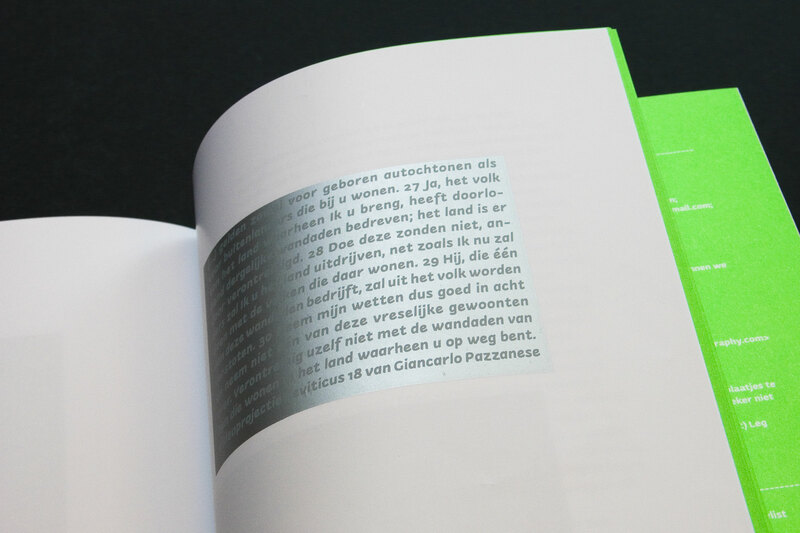 In the book, images of the exposed artworks are covered with a silver scratch-off ink layer, and, on top of that text is printed in another layer of silver metallic scratchable ink. Consequently the end user has to make an irrevocable choice: stay with the informal text about the artwork or remove it to view a photograph of the actual item. 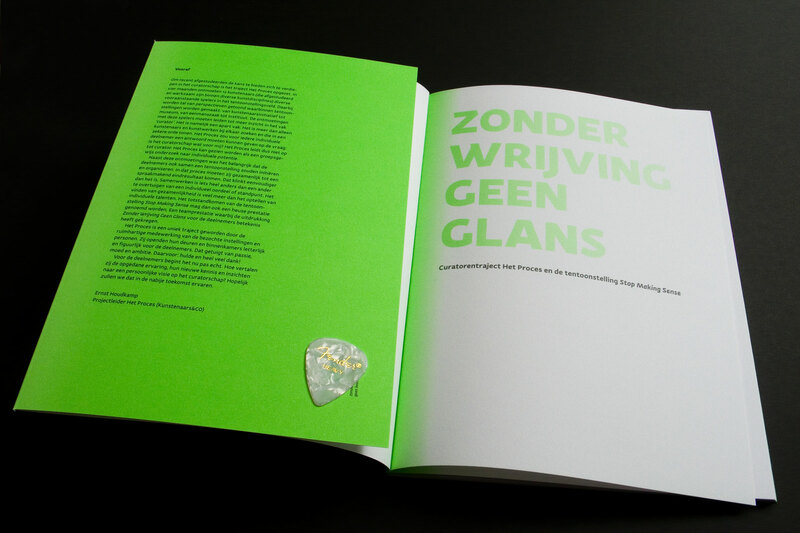 It’s a collaboration between the designer, photographer and end-user of the book. Hard to tell which silver is lighter than the other. Photos of exposed artworks by Isolde Woudstra. 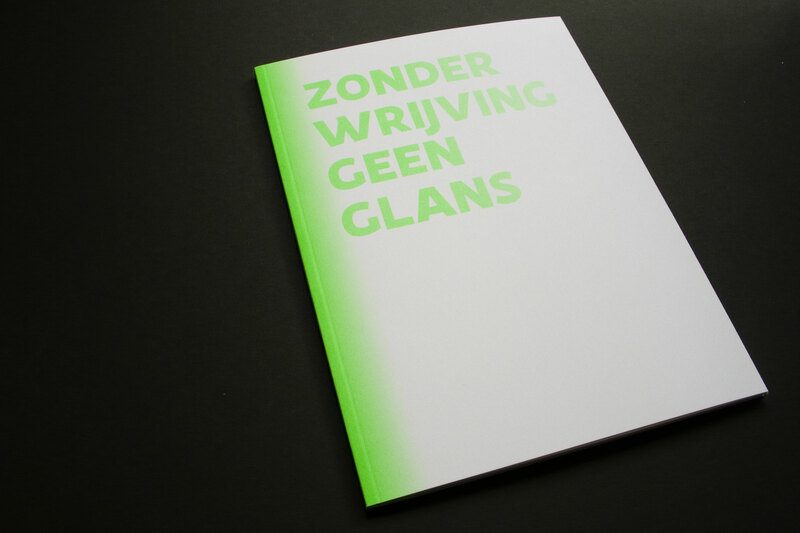 This book design is a perfect example of our obsessive attention to detail. We’ve been looking for creating the perfect finish by seeking out exactly the right multiple silver colours. 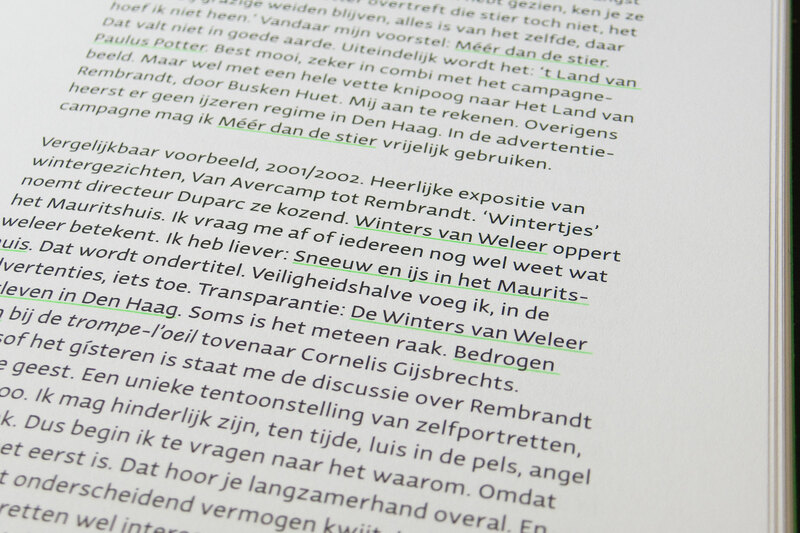 The green gradient in the spine seems easy to print but actually it was difficult to print stepless. 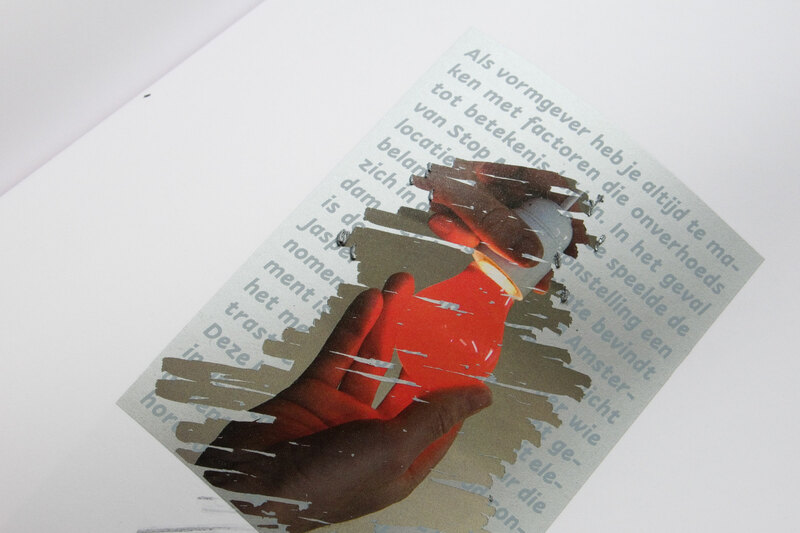 A couple of samples were printed on press in order to get that effect just right and perfect. More insights at For Print Only, a blog dedicated to the visual stimulus and the detailing of the development and production of printed matter. Why not colouring it the other way round for the appendix, huh?